Each room and suite reflects the history, romance, and old southwestern style of Old Santa Fe, available with or without a patio or balcony. 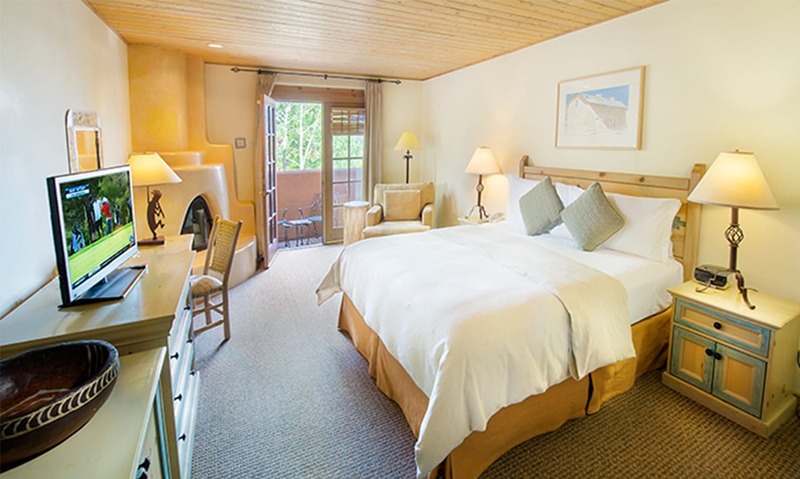 Our Deluxe rooms offer the ultimate space for your Santa Fe getaway, with spacious rooms & upscale amenities. All have a private patio or balcony. 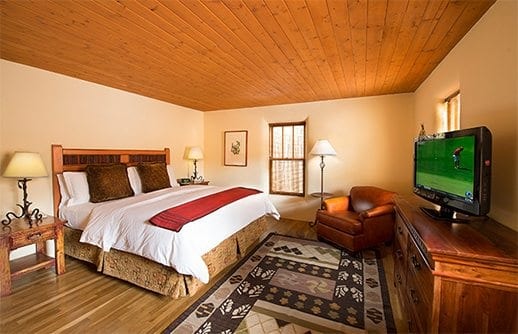 Our Suites are the epitome of high desert comfort, offering you a home away from home for your Southwestern getaway. 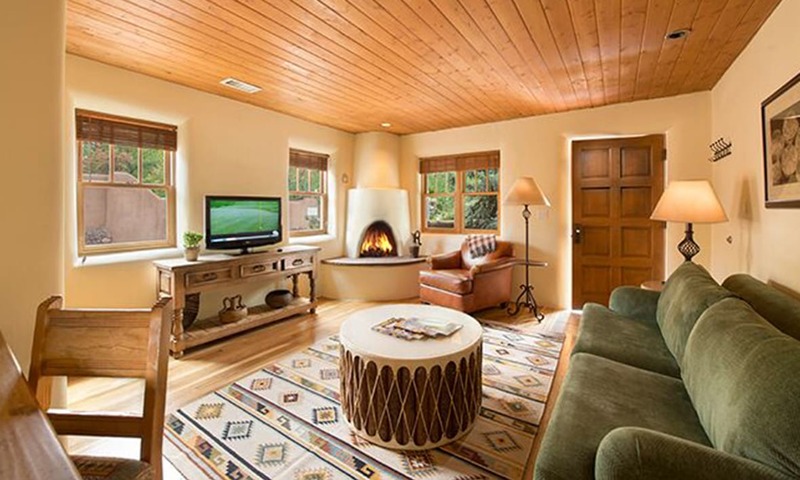 Each suite features a bedroom, separate sitting area, wet bar, and Kiva fireplace. The Inn is the perfect place to host your next group or gathering. From our conference facilities to our outdoor spaces, we have everything you need! Inn on the Alameda offers a wide variety of amenities for our guests to enjoy. From our lavish breakfast buffet to our afternoon happy hour, we do everything we can to ensure our guests feel pampered and comfortable. We strive to provide the perfect mix of personal attention and privacy for all our guests, and offer a wide range of all inclusive amenities, from our breakfast buffet and afternoon happy hour to complimentary shuttles, free parking, and a wide variety of in room comforts. Our complimentary breakfast buffet offers our guests everything they could want to start off the day, all served in our gorgeous breakfast room. 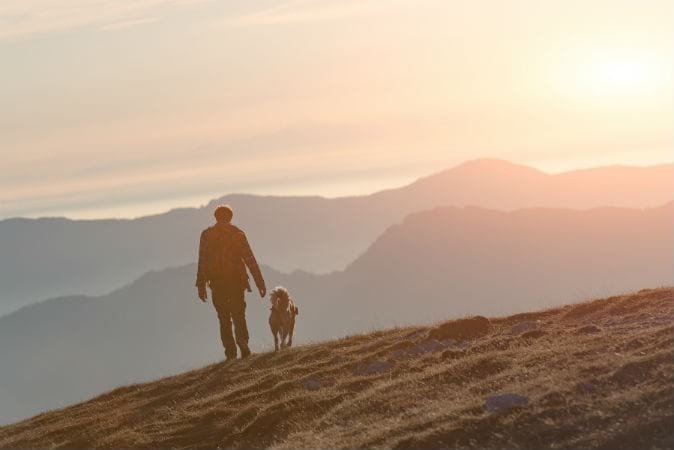 We are pleased to accept pets in our specially designated rooms, so you can bring your best friend with you on your next getaway. Our on site restaurant is an oasis of comfort and casual elegance. 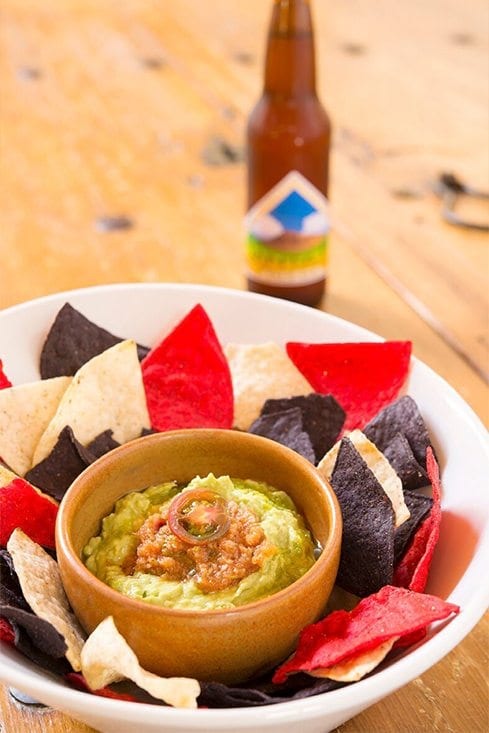 We offer a cantina style menu featuring New Mexican and New American dishes that has a little something for everyone. Relax after a day of exploration with our complimentary selection of wines and snacks. Our happy hour takes place every afternoon from 4 pm to 5 pm and is the perfect time to mingle with other guests. Locally Owned and Operated, the Inn on the Alameda opened in the 1980’s with a desire to showcase the southwestern culture. Everyone at the Inn is like family, and that’s how we treat all our guests. Santa Fe is the perfect gateway destination to learn about southwestern culture, art, and tradition. Come explore the Santa Fe way of life. Northern New Mexico is full of unique attractions and enchanting sites, all just an hour’s drive from Santa Fe. The Inn on the Alameda is the perfect base for exploring this beautiful area. 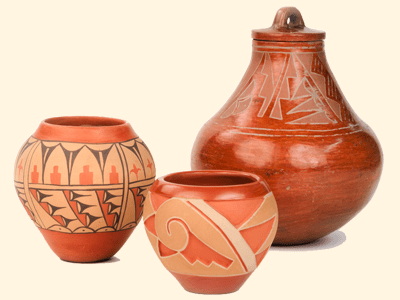 Santa Fe is famous for its art and culture, with galleries, museums, and more. The Inn on the Alameda is the closest hotel to Canyon Road and Delgado street, and just a short walk to the Santa Fe Plaza. With hundreds of restaurants, Santa Fe has earned a reputation as a dining destination. 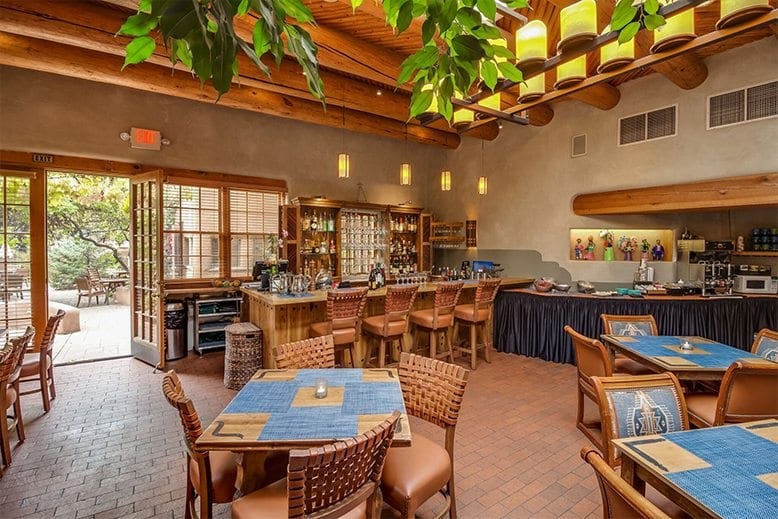 The Inn puts you in easy walking distance of many of the best restaurants in Santa Fe. Or you can choose to stay in and enjoy an evening at our own Agoyo Lounge. Santa Fe is a culinary, historic, and cultural destination, and hosts a variety of events throughout the year. The Inn puts you in the perfect location to enjoy them.